Federal approval of a highly anticipated breast cancer drug was delayed by the Food and Drug Administration this week. (WASHINGTON) — Federal approval of a highly anticipated breast cancer drug was delayed by the Food and Drug Administration this week. 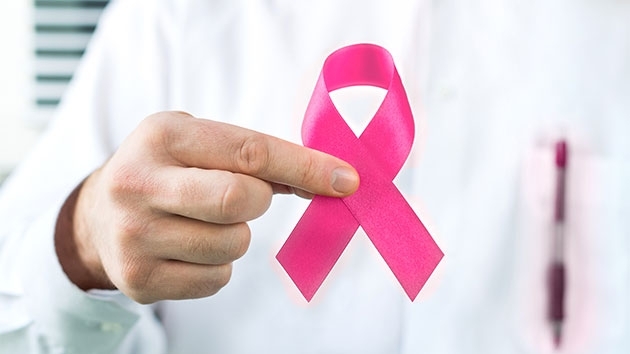 Dr. Kevin Kalinsky, an assistant professor of medicine at New York-Presbyterian Hospital and Columbia University Medical Center, led the research for the use of sacituzumab in “triple negative” stage IV breast cancer. This cancer grows and spreads faster than most other types of breast cancer, according to the American Cancer Society. “We call [sacituzumab] a ‘smart drug’ because it is like a GPS that hones directly to the cancer, able to deliver high doses of chemotherapy right to it,” Kalinsky said. “The response rate of other chemotherapy medications for this most advanced stage of breast cancer is often less than 20 percent when [patients] have already tried other drugs,” he added. Kalinsky said 30 percent of cancer patients’ tumors decreased in size after taking sacituzumab. The change lasted about eight months. One of Kalinsky’s patients, Renee Seman, 41, from Long Island, New York, has had success with this innovative medication. In 2014 Seman was diagnosed with stage IV breast cancer. She was 37 and a new mother. No other therapies were working on her cancer when she met Kalinsky. “I didn’t want to have the side effect of that chemotherapy,” she added. She tried several other therapies before she enrolled in a smaller trial which tested sacituzumab in people with stage IV non-triple negative breast cancer. While on it, her cancer remained stable for one year. Seman experienced side effects of hair loss and fatigue but was still able to spend time with her family and even started running marathons while on chemotherapy. Five years later, she remains hopeful, though she did have to switch to a different chemotherapy when her cancer grew again. She is now gearing up for her 5th and 6th marathons in Tokyo and London. Kalinksky said people on sacituzumab do not develop standard chemotherapy side effects like severe numbness and tingling in the hands and feet. Although FDA approval has been delayed there are still many clinical trials available at these locations. Dr. Tiffany Truong is a resident physician in internal medicine in Houston, and a member of the ABC News Medical Unit.